College Educations Cause Income Inequality! Rising college graduation rates, particularly for women, have significantly contributed to a greater share of high-income households. 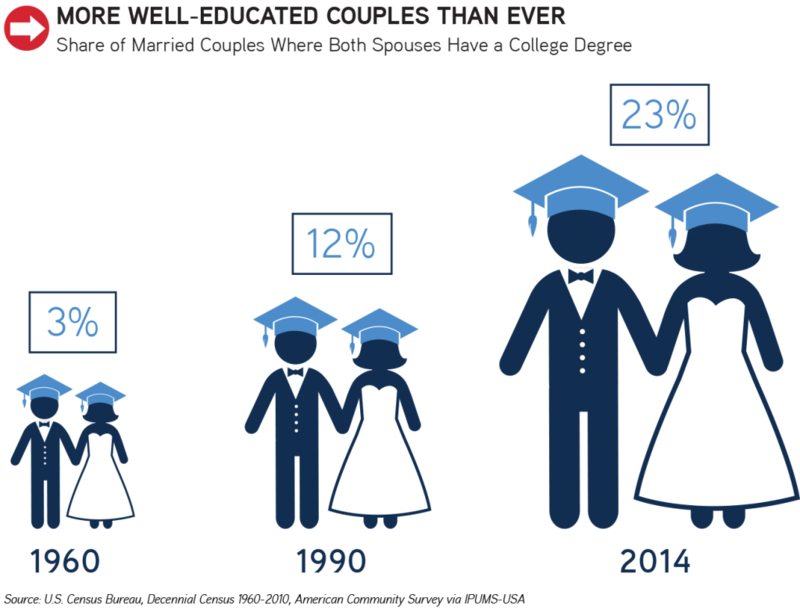 Among married couples, 23% now both graduated from college—a percentage that has steadily risen for decades. When both spouses went to college and work, household incomes at the top rise! The steady increase in women graduating from college has played a big role in this shift. 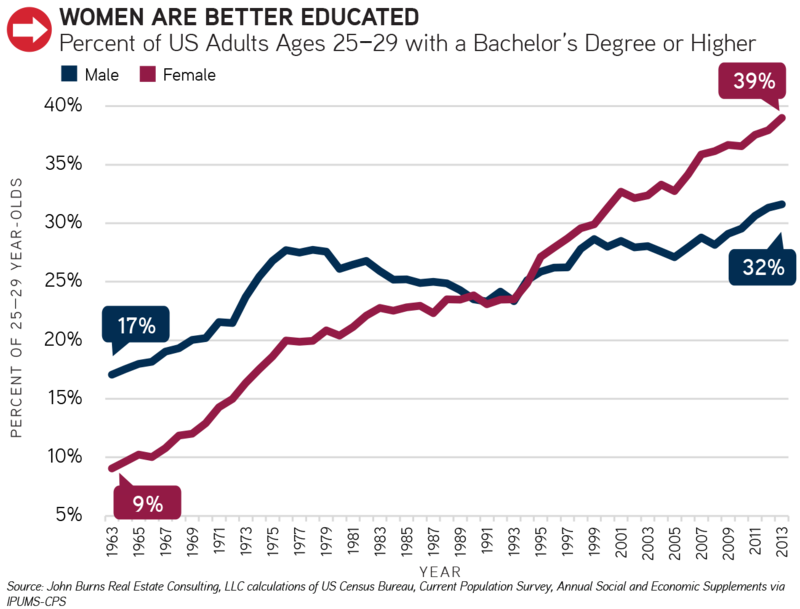 39% of women now graduate from college, a huge increase over the last several decades. The changing roles of women have played such a huge role in demographics that we have devoted an entire chapter to this topic in our upcoming book Big Shifts Ahead: Demographic Clarity for Businesses. If you have any questions, please contact Chris Porter at (949) 870-1218 or by email.